These programs range from 24 credits to 120 credits in photography and from 10 months to 4 years of programming. A bachelor's or master's photography degree offers extensive hands-on experience through laboratories supervised by experienced photographers and, often, through internships offering real-world experience. Programs differ in their depth and breadth of offerings as well as particular focus. Some programs emphasize photography skills for the job, while others will enhance the focus on photography as art. 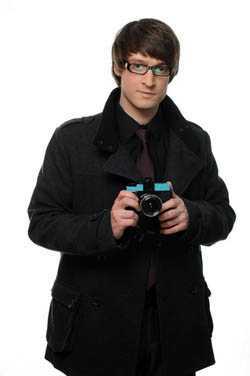 A photography degree prepares a graduate for a variety of careers. Most graduates will choose a career in a private studio. These photographers might concentrate on portraits or on wedding photography. 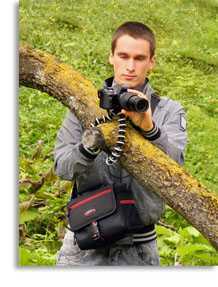 Other photographers will choose commercial photography, fashion photography, or travel photography. Some will translate their skills to cinematography. Other photography degree graduates will concentrate on creating art for its own sake. While the path to photography starts with a set of basic technical skills, those skills can be advanced and translated to a host of career options, but they all begin with a photography degree. Most bachelor and master's photography degrees are fine arts degrees. Associate's degrees in photography are generally offered at local or regional community colleges and cover two years of general education and photography-specific coursework. 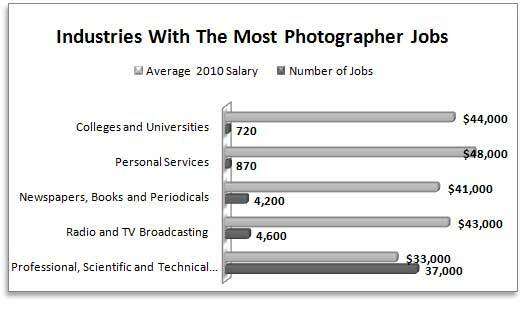 Bachelor's degrees in photography are offered at four-year state and private colleges and universities. Graduate degrees in photography are also offered at select colleges and universities and can be completed in two to three years. Many undergraduate and graduate photography programs are offered at colleges of art and design. Many factors go into selecting the right program. Photography students interested in improving their skills for personal use or students looking for a fast path to entry-level photography work might choose a local associate's photography degree program. Students looking for a full college education and substantial photography course and lab work should instead consider a bachelor's photography degree program. Prospective students should also consider their career goals, the cost of an education and their resources, and their ability to relocate, when considering a photography degree. Photography degree programs offering a master's degree are postgraduate programs that take two or more years to complete. A Master of Fine Arts (MFA) in Photography Degree often takes three years to complete. A Master of Fine Arts in Photography, Master of Fine Arts in Visual Arts, or a Master of Fine Arts in Studio Arts may be awarded. The requirements for admittance to a graduate photography program are significant and fairly competitive. MFA photography program applicants must have a bachelor's degree from an accredited institution. Schools may require a minimum GPA for consideration. For instance, the UCLA Graduate Division requires a 3.0 GPA or greater for consideration. Applicants must also submit a portfolio for inclusion in the admission evaluation. The portfolio should be put together based on each school's specific requirements, but they often contain a couple dozen images representative of the applicant's intended focus and potential. Graduate photography programs do not generally require the GRE for consideration, but letters of reference must be offered. Applicants are asked to submit an artist statement or statement of purpose. Generally, colleges and universities expect MFA applicants to have a bachelor's degree in the same field—in other words, a BFA in photography. Some schools will consider applicants with a non-photography or non-fine arts bachelor's degrees if an applicant has considerable experience in the field of photography. The class size for an MFA photography program tends to be small (Stanford University enrolls only ten students in the program, five per year) and allows for a great deal of individual evaluation, teaching, and support. Parsons the New School for Design describes its MFA program as a "21st century studio and think tank." The MFA education covers emerging imaging technologies, developing the creative role of the photographer, specialized techniques, art theory, and criticism. Graduate programs offer artists an opportunity both for experimentation and critical feedback. MFA studio art or visual arts coursework will include non-photography disciplines. Students will complete courses in sculpture, ceramics, and painting, for example, in addition to photography courses. Schools that offer multidisciplinary art programs often provide opportunities for collaboration among artists. Larger, multidisciplinary schools often offer opportunities for coursework in other fields and collaboration with scientists or writers or computer engineers. Graduate programs in photography include courses such as Art Practice, Studio Practice, Working Critique, Independent Research or Study, Art Theory, and Art History. Some programs have a unique focus. For instance, the California College of the Arts offers a concentration in social practice preparing students to conceive and implement public and project-based community art. Students will be expected to successfully complete and defend a thesis to receive their master's degree. The cost of this graduate program is similar to other graduate programs. Some schools offer teaching assistant positions to defray the cost of education. Students are eligible for financial aid, including government loan and grant programs. A Master of Fine Arts in Photography is a highly competitive graduate program for photographers with a bachelor's degree and substantial photography experience. Nothing allows photographers to develop their art through education, practice, and critical feedback quite like earning a Master's. It is truly the ultimate when it comes to a photography degree. Some photography degree programs are more appropriately called certificate programs. These photography schools and online schools offer a certificate and not a degree. Employers may consider a certificate a disadvantage to a degree as the requirements aren't standardized and may not include general education requirements. Contrarily, certificate programs can focus solely on photography curriculum. Photography certificate programs may be offered at accredited schools. Students can enter a photography certificate program directly from high school. Accredited programs will require students to be 17 years old or more and have a high school diploma (or equivalent) for enrollment, but, on the whole, have no additional prerequisites. Students in accredited programs should be eligible for financial aid, including federal grants and loans, regardless of the program type. The Hallmark Institute of Photography in Massachusetts offers a certificate program requiring 10 months of photography and business training. In addition to courses in typographic design and portrait photography, students learn studio operations and business planning skills. The Center for Digital Imaging Arts at Boston University also offers a certificate program. This school's instruction includes composition and lighting and practical courses in image archiving and Photoshop. This program extends programming to 3D animation, graphic and web design, and similar courses to offer experience in the broader field of imaging. Not all certificate programs offer practicums, but the Center for Digital Imaging Arts is one that matches students with projects for real world experience. The New England School of Photography offers an extensive two-year program leading to a certificate. The program is set up much like a degree program, offering both a major and a minor. Photography students can choose one of eight majors, from Editorial and Corporate Photography to Creative Imaging Arts, and ten minors, including Architectural Photography and Fashion Photography. As is often the case, the cost of a certificate program can rival that of a degree program. The New England School of Photography anticipates the cost of equipment, books, and supplies to run $7,500 per year in addition to the tuition cost of $23,000 per year. Photographers can also find schools that offer both degree programs and certificate programs. In these cases, the certificate program might amount to an extensive workshop or specialization within the field of photography. The well-known Brooks Institute in California, for example, offers both fine arts in photography degrees and certificate programs. Their certificate programs focus on wedding photography and digital cinema. While everyday photography in this world of digital point-and-shoot seems uncomplicated, the field of photography is complex. Professional photographers need a host of wide-ranging skills to be successful in the field. A breadth of technical skills is paramount to success in the field of photography. Photographers must be adept at working with different camera types and understand and be able to effectively use lenses and flash or other lighting equipment. They also need skill using a light meter to properly set up desired shots. Even after images are captured, the technical journey to produce a quality photograph has just begun. Film images must be developed and printed. Digital images must be edited and printed. Depending on the desired end look, a photographer might spend a significant amount of time working with software programs to enhance and alter their images. Consequently, today's photographer must also have computer skills and internet skills for adept handling of digital images that may be sent by email or uploaded to websites. Furthermore, photography degree students must be creative. A photograph is purchased or a photographer hired because of the original content and inherent creativity as well as the technical skills. Photographers must come up with new ideas for photographs and be able to take a project concept and develop both best fit and uniquely original images. Work that stands out for its innovation and imagination will be appreciated. Since photographers may spend long hours holding or walking with heavy equipment, physical stamina is as necessary as good coordination. Good eyesight is also a must. But perhaps among the least considered but most important characteristics for success as a professional photographer are personality and business skills. Much photographic work involves working with people. Often it involves working with the public as clients and photographic subjects. However, it also means working with stock photo companies or businesses hiring photography services. In these instances, good people skills are essential, as is the ability to put subjects at ease and respectfully gain their cooperation and agreement. Professional photographers should be patient, detail-oriented, and accurate. In some specialties, the ability to work on deadline is also a critical skill. Photography degree students should receive a business education as part of their curriculum or seek courses and mentors outside the curriculum. Success depends on the ability to market yourself and your work, copyright and license to protect your work product, and handle business financials. Needed business skills include the ability to develop a business plan, write and submit bids, understand and evaluate contracts, and keep and analyze financial records. To that end, professional photographers need substantial marketing skills both to market photographs to the clients in front of them, as well as to advertise and promote their services to attract new clients. They must also be able to assess the market and price work appropriately. Additionally, some photographers will need human resource management skills to hire, train, and supervise assistants and receptionists. Photographers need legal skills to license their work and secure copyright protection. Photography students should consider inventorying their own skills prior to choosing a specialty. Consider the skill set needed for specialization. For example, a photographer who owns his or her own studio will need human resource management skills, as well as business and financial skills. A photographer who’s not into crunching numbers might instead choose travel photography or photo editing as a career. A photographer who enjoys working with a team might prefer commercial and industrial photography or photojournalism. Photographers with strong people skills should do well as portrait and wedding photographers. Personal skills, as well as interests, should be considered. The technical skills and personal skills needed for a successful career producing quality photographs is substantial.